Princess Cruises’ bumper summer down under is AVAILABLE TO BOOK! It will be a very warm “Welcome Back” to Sapphire Princess and Majestic Princess, as well as our favourite homeport ships Sun Princess and Sea Princess. To round out the quintet we will have Regal Princess join Majestic Princess in Sydney. 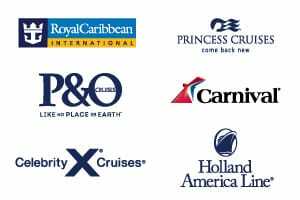 View all 2020/21 Summer Season cruises below, or view all Princess Cruises from Australia, visit our Princess Cruises page for more options or use Cruise Finder to locate your perfect cruise. *Terms and conditions apply. Prices shown are per person, twin share in AUD inclusive of all discounts, taxes & fees. Prices are as categories as specified. Prices are subject to change and availability. Once the lead in stateroom is sold out, prices may increase to a higher fare, or be withdrawn without notice. Cruise line offers are valid for new bookings only and are not combinable with any other offer. Oceanview staterooms and balcony staterooms may have obstructed views. Discounted fare will reflect in the final booking screen. Offers are not combinable with any other offer unless otherwise stated. Sailing itinerary may vary from what is shown. Itinerary changes are at cruise lines discretion. All offers are subject to availability and may be withdrawn at any time without notice. Gratuities – tipping is not requires or charged to your onboard account for Sun Princess, Dawn Princess, Sea Princess, Diamond Princess or Golden Princess cruises departing from and returning to Australia. For all other Princess Ships a gratuity amount is added to your onboard account at approximately US$12.95 per guest per day for inside, oceanview and balcony cabins and approximately US$13.95 per guest per day for mini-suite and suite cabins. Gratuity amount is subject to change at any time at the cruise line's discretion. Cruise Guru reserves the right to correct any errors inaccuracies or omissions and to change offers, fares and surcharges at any time without notice. Credit card fees are not charged for deposit payments via Visa or MasterCard. Final payments will incur a 1.3% merchant fee via Visa or Mastercard. American Express incurs a 2% merchant fee for both deposits and final payments. AU$10 per person deposits are exclusive to Cruise Guru. Deposits are non refundable and non transferable. No further payment is required until the final payment date as specified on your invoice. Not all sailings are eligible for this reduced deposit initiative. Deposit will be collected at time of booking by credit card, no direct transfer is permitted on this promotion. Final cruise balance will automatically be debited on the existing credit card on file, unless otherwise advised prior to final dates. Cruise Guru reserves the right to withdraw this promotion at anytime without prior notice. Princess Cruises Captain’s Circle Launch Savings of up to $100 per person discount is applicable in all categories and combinable only with Launch Fares, Group Fares and campaigns. Specific discount amounts vary by itinerary and cruise length. Other marked and past guest promotions or ‘new booking only’ promotions are not combinable with the discount. Princess Cruises Captain’s Circle Launch Savings is not applicable to third- and fourth-berth guests.